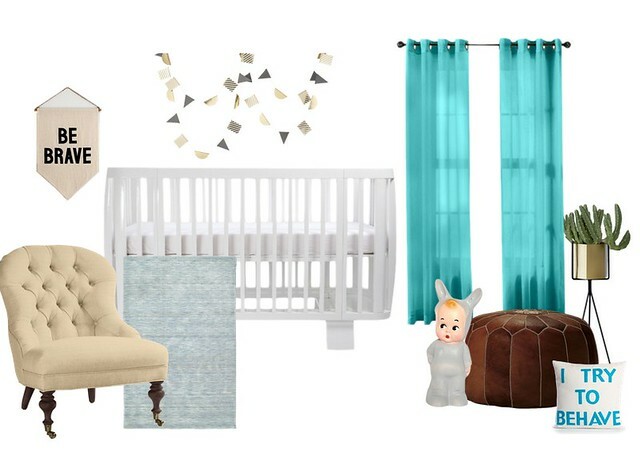 pirates and peonies: a little room makeover | hello retro crib from bloom! 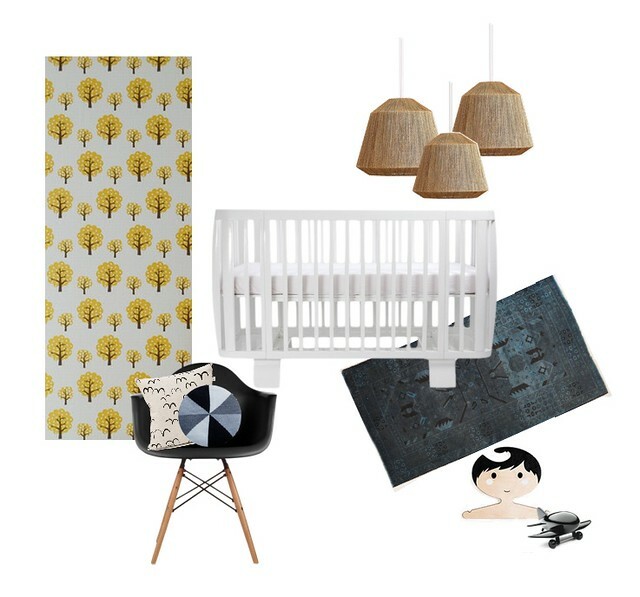 a little room makeover | hello retro crib from bloom! Thank you all for the encouragement for being honest and taking things slow in our move! Your words always touch me and it means a lot, and I always feel so blessed to know I have people I haven't even met supporting me! It is easy to be wrapped up in "Keeping up with the Instagrams" where the world seems to have money and clothing falling straight out of the sky, and you're just trying to keep up with it all. We are human to want things we see that are beautiful, but it is hard to find inspiration without wanting it all for yourself! Although we don't work off of strict budgets in our home (that would require organization...pssssht) we really are trying to scale back on our need for things. I always thought I would be emotional getting our items out of storage and hug them tight as I've missed them, but that really wasn't the case. It made me think of how little we really need! I didn't miss any of it! How my life feels more at peace when we don't have mounds of things surrounding us. But instead having quality things that we love around us. So, I am trying to show restraint and really take this house thing slow. Truly thoughtful planning on: what I like, and what will work, and what we can afford -- then really designing each room based off of that! First things first. Wrennyn's room!! wheeeeee! He now has his own space and with napping and going to bed earlier than the other 2 we thought (for now) it was best he had his own room. 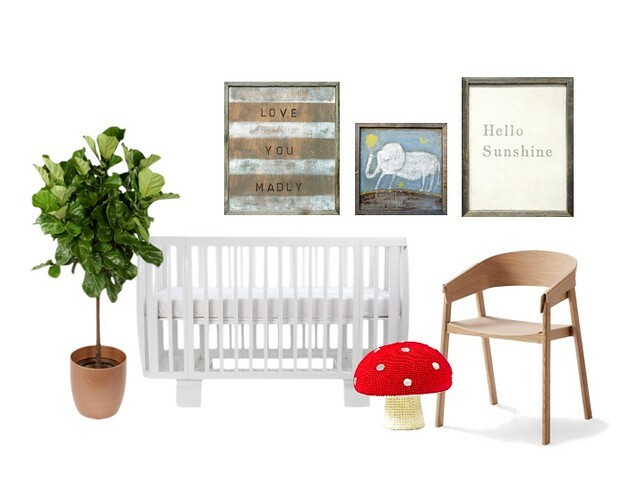 We got this GORGEOUS Retro crib here from amazing BLOOM BABY -- because I absolutely love everything that Bloom does! Their designs are remarkable! We got this crib because it was larger than the previous style we had for him, and we thought with this rail option here that it would be an amazing thing for him to grow into and use for a long time! This way we won't have to buy a toddler bed in a few months! I am going to share some of the ideas I had for his room along with products I love! I will share some things I get for his space as we go, but I am really trying to keep it clean and simple! A space where he is comfortable and has control. Some old and some new, but all loved. Take a look and let me know what you think! I haven't a clue which way I am going to go, but I feel really confident that it will have simple statements and will be something he can grow in to! Torn between 1 &3... But I choose the last design!!! Love it! NUMBER 1. It has a very nostalgic feel- perfect for adventures. That wallpaper is on 10.
option no:1 for sure! i'm a massive fan of bloom i have used them for my last 4 babies and i love the ferm living paper the combo works great!